Hey there, I’m Tracie Strucker! I’m a therapist who helps women stop emotional eating, change their relationship with their bodies and their selves and live life with direction, peace, and fulfillment. I help women feel great, be happy and live a conscious, truly lovely life. You are beyond the drive for thinness and instead are on a quest for health. You’ve had a health scare, came through it, but not even that has changed your relationship with food, your body or your mindset about how to make change happen. You know what balanced health eating is, but emotions take over and you can’t seem to get back on track when the emotional eating episode is over. It can be defeating to keep working at it without seeing any change. Monday morning rolls around with new goals or maybe just the same old ones and more disappointment is heaped on the last batch of missed opportunities. The good news is that you’re here and that means you have the hope and determination, not matter how small, to make the changes in your life you need to make. I have a conversational style and especially at the beginning of therapy, I ask a lot of questions. Helping you to feel better, develop realistic life enhancing goals and expand your skills to achieve your goals is the focus of therapy. Most people I work with experience a reduction in distress after just a few sessions and many people feel better after the first session. Lifelong skills are big part of therapy. Practical, useful skills help you maintain the therapy goals you worked so hard to attain. Ultimately, your dreams may even expand further than you imagine. You can live a truly lovely life. I have 25 years of experience working with people to heal mind-body problems, including eating disorders, addiction, and other chronic stress related disorders like cancer survivorship. 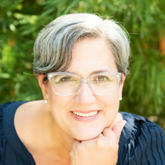 I am a Licensed Clinical Marriage and Family Therapist in Maryland and I hold a doctorate in psychology with a specialized focus in health psychology. In addition, my master’s degree training focused on family systems and psychodynamic psychotherapies. I work from a collaborative approach, including a careful consideration of the mind-body relationship and how this relationship influences both dis-ease and health. I also frequently use guided imagery and hypnosis as tools to reduce anxiety, improve body image, and enhance goal achievement. Important in my work with patients is a focus on your relationships. Amplifying compassion helps to build strong relationships, ultimately leading to greater relationship satisfaction for both you and those you love. Prior to relocating to the Washington DC area, I founded the La Que Sabe Eating Disorders Clinic in Austin, Texas. The clinic was proud to hold a 10 year long success rate of an 80% reduction of problematic eating behaviors during the first month of treatment. send me a note & schedule a time to talk!